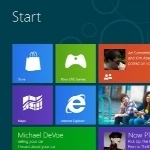 In the recently released Windows 8 Consumer Preview the Internet Explorer 10 Platform Preview is baked into the OS in both Desktop and Metro versions. I have run into a few issues with certain plugins, such as LastPass for handling my passwords, that do not work with the Metro version of IE10. That means in order to have access to my website login information I must use the Desktop version of IE10 in the Windows 8 Consumer Preview. This is initially a challenge because any links you click on within Metro apps default to the Metro version of IE10. If you want all links across Metro apps to open in Desktop IE instead of the Metro version so you can have access to any plugins you use then it is a pretty easy process to get this working in the Windows 8 Consumer Preview. This post is excerpted with permission from Windows Observer. Windows Observer IE10, internet explorer, Microsoft Windows 8, Windows 8, Windows Observer. permalink.